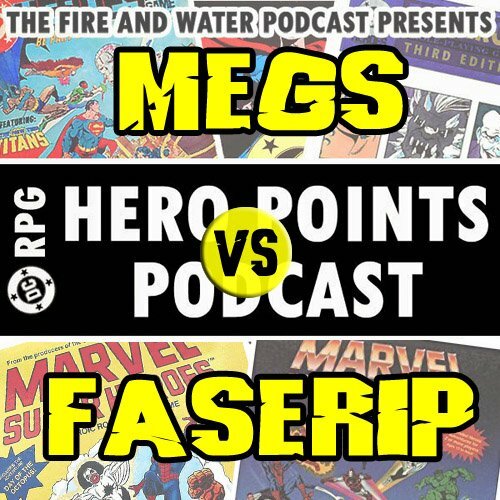 Images for DC RPG: THE HERO POINTS PODCAST, Episode 5! Click each image to enlarge! Leave your comments over on the podcast post by clicking here! 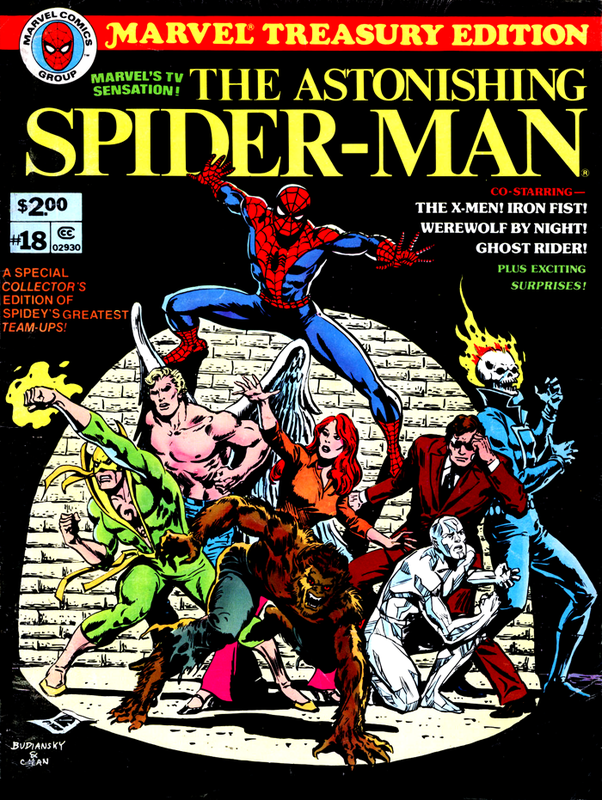 Rob welcomes fellow Fire and Water Network All-Star Ryan Daly to discuss MARVEL TREASURY EDITION #18, featuring Spider-Man team-ups with the X-Men, Ghost Rider, Werewolf by Night, and Iron Fist! Images for MARVEL TREASURY EDITION #18: THE ASTONISHING SPIDER-MAN! Leave your comments over on the podcast post by clicking here! 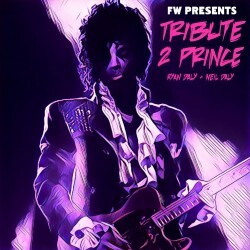 Ryan Daly and Neil Daly honor His Royal Badness on the anniversary of his passing with this special episode of FW Presents: TRIBUTE 2 PRINCE. The brothers discuss their personal history with Prince’s music, as well as their favorite albums, songs, live performances, movies, and true Hollywood stories. 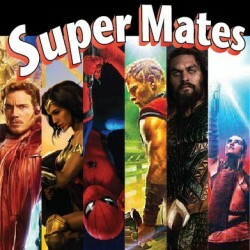 Super Mates 69: Geek Trailer Palooza! Chris and Cindy have a lazy couch episode, watching the latest trailers from all the upcoming comic-related films this year! They discuss what they’ve seen so far of Guardians of the Galaxy, Vol.2, Wonder Woman, Spider-Man: Homecoming, Thor: Ragnarok, Justice League and Star Wars: The Last Jedi, and what they hope they’ll see later! Son Andrew stops by for a brief cameo! Come join them on the couch! Listen to Episode 8 below! Contributions by: Cory Drew, Mike Peacock, Tim Wallace, David Ace Guttierez, David Gallaher, The Irredeemable Shagg, Ryan Daly, Chris Franklin, Rob Kelly, Bass Leveseque and Dr. G Man of Nerdology. Bonus clips from: “Gene Roddenberry Up Close and Personal Interview”; and every episode of Star Trek The Original Series, starring Jeffrey Hunter, Sally Kellerman, George Takei, Grace Lee Whitney, Nichelle Nichols, Bruce Hyde, William Shatner, Leonard Nimoy, Roger C. Carmel, John Megna, Anthony Call, DeForest Kelley, Malachi Throne, Julie Parrish, Barbara Anderson, Mark Lenard, Bruce Mars, John Crawford, William Campbell, Bart LaRue, Barbara Babcock, Majel Barrett, Joan Marshall, Charles Macaulay, David Opatoshu, John Colicos, Michael Forrest, Vic Perrin, Celeste Yarnall, James Doohan, William Windom, Antoinette Bower, Elizabeth Rogers, Jane Wyatt, John Fiedler, Michael Pataki, Angelique Pettyjohn, Walker Edmiston, Booker Bradshaw, Warren Stevens, Teri Garr, Joanne Linville, Susan Howard, Kate Woodville, France Nuyen, Frank Gorshin, David Hurst, Lee Meriwether, Charles Napier, Deborah Downey, Diana Ewing, and Barry Atwater; “Battleship” ad by Milton Bradley; “Tombstone” by George P. Cosmatos, starring Val Kilmer; and “Mortal Kombat Theme” by The Immortals. In this special episode, Rob welcomes back frequent guest Patrick Butler to discuss Bob Dylan’s blistering, three-song live appearance on LATE NIGHT WITH DAVID LETTERMAN on May 22, 1984. 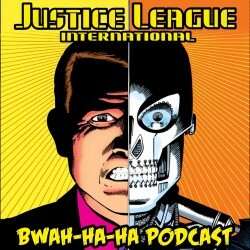 JUSTICE LEAGUE INTERNATIONAL: BWAH-HA-HA PODCAST and The Irredeemable Shag welcome guest and comic’s professional Thom Zahler to discuss Justice League International #12 (Apr 1988)! Finally, all of Maxwell Lord’s secrets revealed! Plus we finish up the first year of JLI comics! 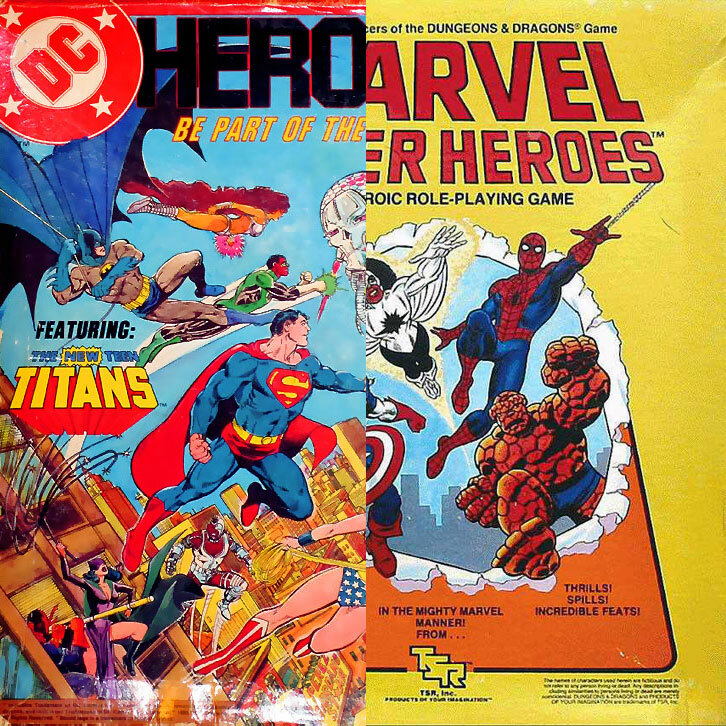 Thom and Shag cover what was on the shelves that same month, recap and discuss the JLI issue, and tackle YOUR listener feedback!